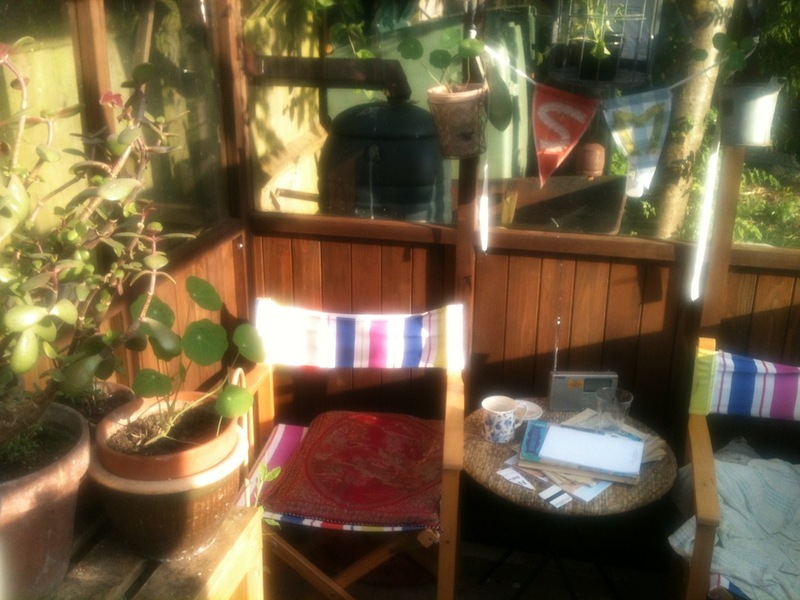 In London we have an Andalucian Acclimatisation Capsule…the greenhouse. Today the outside temperature was a modest 18C but inside the temperature soared into the 30s. In Spain, we’ll no doubt miss our greenhouse as we’ve had many a lovely year growing – or attempting to grow – tomatoes (very successfully), aubergine (couldn’t get them bigger than golf-ball sized) and cucumbers. These have been known to grow to full size, although one year they actually turned out to be butternut squash. We’ve improved the seed filing system since then. Peppers have traditionally grown well, although we’ve sometimes cheated and bought plants – same with herbs. Courgettes, peas and beans have been safely incubated before being sent out into the big bad world of raised beds to do battle with slugs and other predators. Many a cosy hour has been spent reading and listening to the radio with the rain (or hail) drumming on the glass. 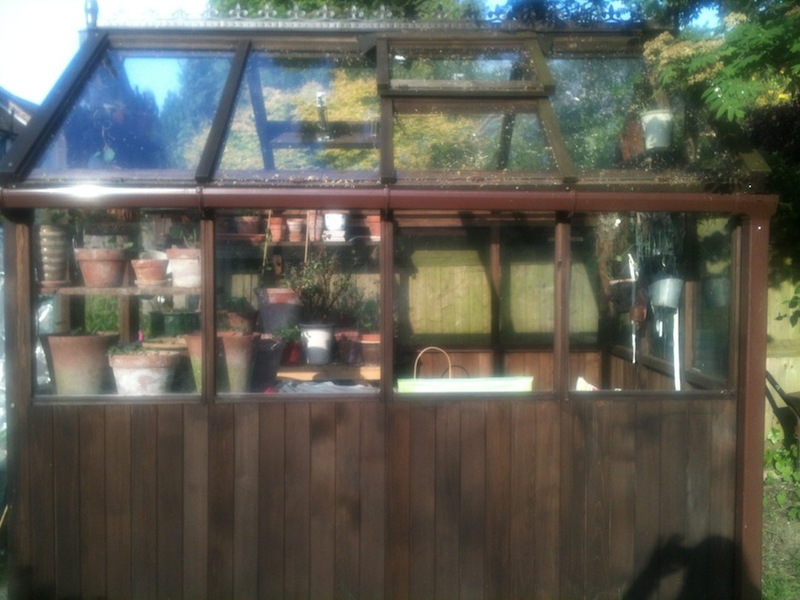 It will be sad to say goodbye to it for a while – but we look forward to being somewhere where outside is like our greenhouse for many months of the year.